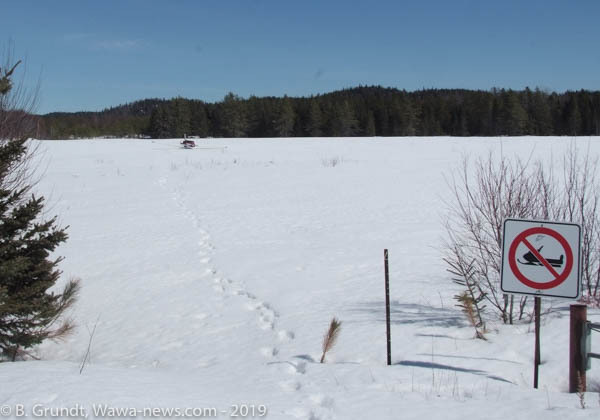 At 1:26 p.m. Wawa-news was made aware of an aircraft in the blueberry field across from Algoma Highland Wild Blueberry Farm & Winery. The blueberry field is just south of the Wawa Municipal Airport runway. The two occupants of the aircraft reported as being okay, and could be seen removing bags from the aircraft and taking photographs. 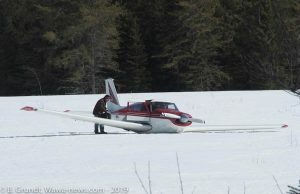 There didn’t appear to be any visible damage to the aircraft, a Piper PA-24 Comanche registered in southern Ontario. The prop didn’t appear to be bent and the landing gear appears to be retracted. As Wawa-news was leaving, an officer from the SE OPP was seen walking out to talk to the pilot and passenger. One of the local pilots mentioned this occurrence to me the other day, so I went and had a look. Most undesired events occur during the take-off or landing phases of a flight. 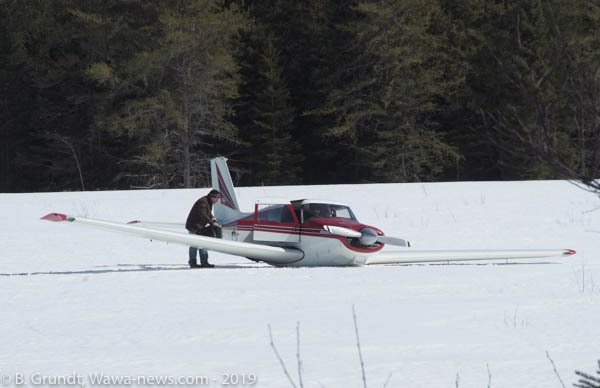 Pilots train for an engine failure, and if it occurs at an altitude less than 500 feet above the airport any notion of turning around to land on the runway is pretty much out. So the Visual Flight Rules pilot learns to always be looking ahead for a place to land, just in case. I expect such an event occurred here. The engine likely failed (or was putting out inadequate power for controlled flight). Whether that occurred after the wheels had been retracted, or whether that was done to reduce drag, only the pilot and passenger know. 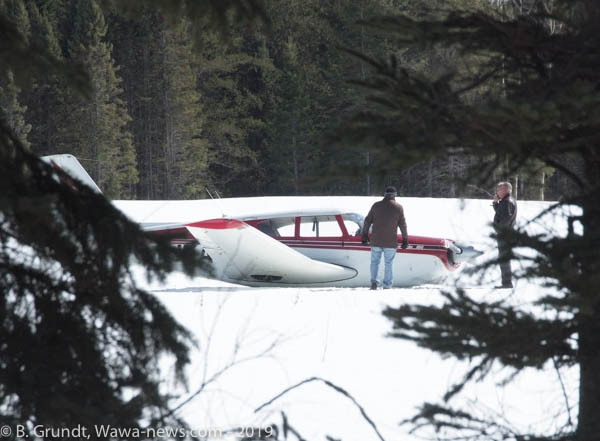 If the engine hadn’t already stopped it was shut down prior to touchdown to save the propeller from being bent (they are expensive, and a prop strike can damage the engine, firewall, etc.). If this had occurred early in March the snow would likely have been deeper and softer. However, even after some thawing and compaction of the snow, the damage done to the fuselage might be minimal. We will have to wait and see.